Over the last decade, Miguel's established himself as one of R&B's most sonic fabulists, a consummate artist unafraid to follow his impulses wherever they lead him. His fourth studio full-length, War & Leisure, is his most ambitious and stunning project yet, a perfect blend of forward-thinking production and melodic delights that more than embody the duality hinted at in the album's title. This is Miguel fusing the two halves of his creative id—the restless experimentalist and the crowd-pleasing hit maker that millions of fans adore—to reach a new peak in artistic achievement. And that energy is felt throughout War & Leisure, from the loose-limbed funk of "Pineapple Skies" and the atmospheric club vibes of "Skywalker" to the body-moving "Caramelo Duro" and the contemplative ecstasy of "Now." 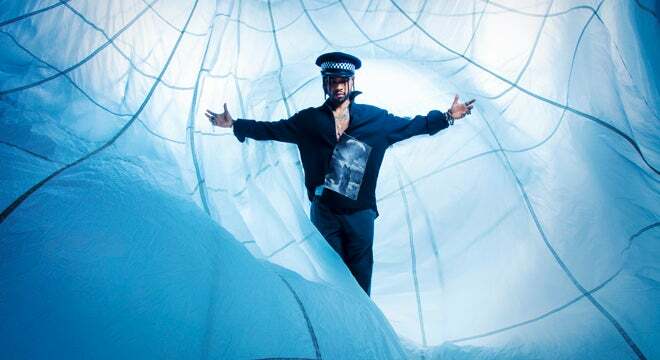 "I like challenging my fans by doing things they wouldn't expect me to do—to show them a little more about myself," Miguel states regarding the album's intentions, and throughout War & Leisure he constantly pushes his music in new directions while delivering on the type of serene R&B that his audience has come to expect. "The best thing we can do is continue fighting our own personal wars that we have to deal with every day," he continues. "The more we do it, the more natural it becomes and the more likely we're able to share that energy with each other." And there's no better soundtrack for the battles we fight every day—in hopes of bringing us closer together—than War & Leisure.